Ludmilla Primary School has celebrated its 50th anniversary with past and present students, families and educators. The school is etched in the history books of Darwin having provided education to Territory children for fifty years. The school survived Cyclone Tracy and was used as a major shelter by Darwin residents in the aftermath. 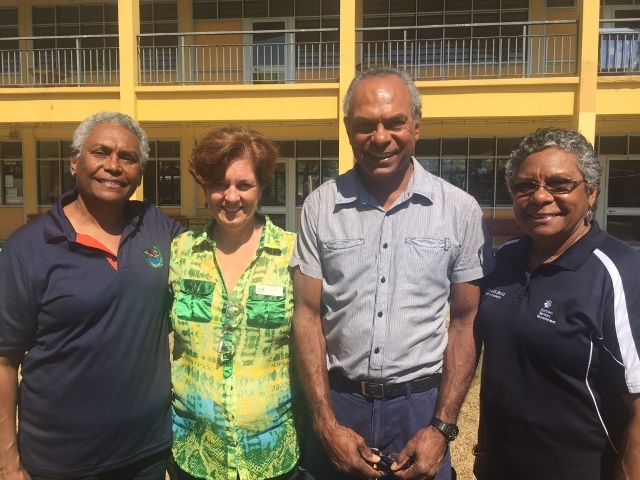 Attending the anniversary celebrations were Barb Tapsell, Alfie May and Maureen Wanganeen– siblings who attended Ludmilla Primary School when it first opened in 1967. The school will be revitalised with a $6 million refurbishment of the existing two-storey building to provide students with contemporary learning environments. Ludmilla Early Education Precinct was established in 2017 which extends the school’s scope to include supporting learners from birth. The school focuses on the families and their children giving them the best start in life and includes a successful Families as First Teachers program.